When the Americans settled down in An Khe 33rd Regiment (Following the battle Dak Sut, 101st Regiment went to B2 Front; 33rd Regiment recently infiltrated the South and took the name of 101B) was encircling Pleime camp in order to lure in the relief force of the enemy. Pleime was an isolated outpost manned by a company at a strategic location; at the north was Route 19B with Duc Co at one end and the east side of Pleiku City; at the east was Route 14 from Pleiku down to the District of Phu Nhon leading to Ban Me Thuot. Based on the terrain configuration and the enemy status at that moment, we anticipated with almost certainty the enemy would dispatch troops to relieve Pleime. In fact, it was only after a 10 day siege of Pleime that one enemy relief task force entered our ambush site, and was heavily beaten by our 320th Regiment, and yet failed in relieving Pleime. After the attack, 33rd Regiment retreated back to its base located at 20 kilometers to the west of Pleime. The actions of 33rd and 320th at Pleime became a threat to Route 14. The enemy II Corps Command was unable to gather a force to relieve Pleime, forcing the American troops to intervene. During those days, the sky over Central Highlands was filled with the sounds of bombs and guns relentlessly days and nights. The US 1st Air Cavalry was aggressively implementing its "search and destroy" strategy. They dropped one battalion in the south side of Iadrang, another one at the steps of high point 732, five kilometers from Ia Meur river, while one cavalry brigade operated to Duc Co along Route 19. Brother Chu Huy Man, Commander, brother Dang Vu Hiep, Political Commissar and I at the headquarters were making arrangements to prepare for a second phase of action against a target near Pleime. Upon receiving news from all directions reporting that the Americans had inserted troops, we issued an order to delay the attack of Chu Ho. Our B3 Command held an emergency meeting to assess the situation and set a new course of action. The consensus of the meeting was that US 3rd Air Cavalry applied the "frog leap" tactic into our rear bases in order to destroy our main force. We lure to destroy the enemy, the Americans took the initiative to jump in, which fitted our intention, giving us to switch our action in destroying the Americans. We tried to lure the enemy to the southwest of Central Highlands in order to coordinate with the battlefront of Military Region 5 and with others battlefronts. The objective for this phase of operation was to destroy completely from one to two ARVN battalions and one to two US companies. Our tactical concept (since we have not yet mastered the enemy activities): we must start fighting and destroy completely one small units, and shoot down many enemy airplanes. The troop distribution was configured in depth, if the enemy penetrate deep we would encircle and destroy them. We attack airborne as well as ground troops. The atmosphere in the meeting as well as all units of B3 Front headquarters was filled with pride and confidence: we are going to engage directly with American troops on different battlegrounds; following a few battles, we will gain experiences, and defeat the US units like we had done with the ARVN units. The learning of the news that the Americans were pouring their troops into the battlefield raised many concerns, in particular the question of "how to fight the Americans?" All the cadres in the Central Highlands focused on finding out "how to fight the Americans" and did not experience any fear at all. That was why the simple directive of Commander Chu Huy Man: "Since we do not yet have any experience combating the Americans, then our resolve is to learn while fighting. Just fight and we will find out" was accepted without objections by the entire ranks and files in the Central Highlands. I remember vividly that historical meeting (11-13-1965). It was wraped up in two hours. The audience was effervescent with a bombardment of ideas. Toward the very last minutes, an idea was formulated: "just fight, when the enemy regroups, when he moves, when he piles up; we will gain more experiences with each new fight; everlasting discussion is a waste of time". I and Dang Vu Hiep were assigned to the forward command post to command directly the 320th, 66th and 33rd (101B) into combat. The personnel in the light forward command post comprised a recon company, an engineer company, a signal squad and a few general staff officers... totaling over thirty men. In the morning of November 14, we advanced toward Chu Pong massif. On the trails lied many muddy spots, a result of a pouring rain that occurred a couple of days ago. From times to times we encountered a few combatants from transport, logistic and medivac units going toward the opposite direction or coming out from the jungles; we asked them questions and learned a few more concrete information. On November 10, the American troops closed in at Bau Can. On November 11, 952nd Battalion attacked the Americans at Bau Can, destroying 10 helicopters and inflicted 200 enemy casualties. On November 14, 1st Battalion 3rd Brigade Cav landed at 3 kilometers northeast Chu Pong, 200 meters from the location of our 9th Battalion 66th Regiment. On the same day, they inserted two battalions minus one company, one artillery company at 2 kilometers southwest Quynh-co-la, and established an artillery base on Route 19. By noon, we paused on the south side edge of Chu Pong mountain. I was standing leaning on a cane and was studying the surrounding terrain and not paying attention to anything else, when suddenly Dong Thoai lied down and pulled my foot. At that moment, a string of bomb exploded running pass our location. - Standing up or lying down at this location, you are merely at the mercy of luck. My eyes followed the clouds of gray smokes that were dissipating, leaving a long trail along the mountain edge, with trees spilled all over. Way back when I was up in the North, I had read may documents pertaining to the American military machinery. And now, I saw it with my own eyes and was facing it. One B.52 transported 25 tons of bombs. Just for today, they used 24 planes taking turn circling over this Chu Pong area. I mulled about our new combat opponent which was an army equipped with powerful and extremely modern armaments, facing an army "undernourished" and poorly equipped. It was then understandable that this situation lead to a subjective view that think the "The Viet Cong's backbones will be broken in no time" and to the current troop buildup aiming at defeating our main forces in Central Highlands. I gave order to stop in the area recently bombed by the B.52 to assess the enemy, to assess our troops and to direct the battle. Only later that day did I meet the officer that commanded the 66th Regiment - La Ngoc Chau, the regimental political officer. Chau revealed that the regimental formation had been dismantled by the enemy, and he had lost communication and was only in control of 7th Battalion and the enemy situation close to this battalion. The information provided by political officer Chau coupled with reports from recon teams, allowed us to identify the enemy confronting our 7th Battalion was US 1st Battalion minus belonging to 3rd Air Cavalry Brigade. I and Dang Vu Hiep, as commanders of the forward command post, after a brief consultation, decided to use 7th Battalion to swiftly attack US 1st Battalion. - We lack time, I will be able to control the enemy position, but how can I relay the plan to our troops in time to organize a night attack. - While advancing to the staging area, tell your company officers to walk by your sides, and while marching explain to them their tasks and plans of attack to the company and battalion commanders; upon closing in the assembling area, leave the troops behind, have the rest of company and battalion commanders spread out in recon and coordination missions at the battleground. The enemy had just landed and their feet still wet, our immediate attack had the advantage of the element of surprise. 7th Battalion had opened fire to attack the enemy since 5:30 a.m November 15. During the first 15 minutes, the enemy was in disarray but then fought back fiercely. We heard clearly the sounds of machine guns and grenades. Up in the sky, days and nights, airplanes of all types roared incessantly. Now and then the sounds of bombs muted all other sounds. C.130 planes circled the sky at nights and dropped illuminated rockets and one could clearly see each individual grass on the foot paths. One combatant said jokingly: "The Americans are quite nice, they are showing the way to us with torch lights." The atmosphere on the battlefield was extremely suffocating like burner overheated to the brim. Everybody's head and boby, even sitting still, were stretched out like musical instrument's strings. 7th Battalion continued its attack against the enemy. Around 12:00 p.m., enemy airplanes flew in to attack and drop napalm bombs even on top of American positions (In October 1993 when returning to the valley of deaths, Lieutenant General Harold Moore pointed out to me the spot where he and his infantry battalion were hit by two napalm bombs and the scene of American soldiers lit up like living torches running and screaming). 7th Battalion maintained behind a company with the task of preventing the enemy to withdraw or to move to another location. The rest of the battalion temporary retreated back to the arrears to regroup. After a long while of shootings, the enemy landed down one more company of 1st Battalion. At the forward command post, we grasped a better control of the situation at this moment. 66th Regiment reported back: 9th Battalion was able to establish communication with 7th Battalion. Thus, the balance of forces in this narrow area was two battalions for each side, with the American side higher in troop numbers, not counting two artillery companies and air force enforcements. On the night of 15 October, I gave order to political chef La Ngoc Chau (the regiment commander who got lost had not found his way back to his unit) to rapidly regroup his forces in order to attack at LZ X-Ray in the morning of 16 October. At the same moment, I dispatched Dong Thoai, of tactical support, to get into contact with 33rd Regiment; whichever battalion he encountered on his way, he was to assign it to attack the two artillery firebase at Quynh-co-la in coordination with 66th Regiment. Simultaneously, I have a recon team carry out the order to 8th Battalion, 66th Regiment to turn back to the earlier position, ready to attack the enemy who was advancing toward the direction of 8th Battalion. 7th Battalion opened fire around 3:00 a.m. of November 17. After a few minutes of fierce combat, it struck accurately at US 1st Battalion and inflicted heavy damages to company A and company B. 1st Battalion, 33rd Regiment got lost on its way and could not attack the artillery firebase as planned. Seeing that 1st Battalion was on the brink of being overrun, 3rd Air Cavalry Brigade ordered to the remaining of the troops to march toward the direction of Ia Meur and to regroup near the artillery firebase awaiting further instruction. I ordered to the units (1st Battalion, 33rd Regiment), in order not to get lost, to attack the enemy continuously day and night; each time they encountered the enemy, they must immediately organize a close combat. By noon of November 17, 8th Battalion, 66th Regiment who had received the order to return back to the previous position, while pausing for lunch along Ia Drang river, was alerted by the recon scouts that "the American troops are approaching". Le Xuan Phoi, the battalion commander, calmly set his troops into an ambush formation which would entrap the enemy troops between two hands of a plier. After using the mortar fire to put pressure against the enemy formation, our troops valiantly gave assaults to cut through the enemy lines and initiated a hand to hand combat with the enemy. This time, the two sides intertwined to the point only small firearms, bayonets and grenades could be used in combat. At my order, 33rd Regiment dispatched one battalion back toward the direction of Chu Pong. While on its way back, 1st Battalion, 33rd Regiment heard gun shots in front of it, and knew for sure our troops were attacking the enemy, and hurried up to reach the conflict location. Upon approaching the enemy, one company of 1st Battalion encountered enemy combatants retreating toward Chu Pong. And so, two units combined their force to attack the American battalion from behind. The coordinated maneuvering of the two battalions threw the American troops into disarray and were destroyed rapidly by our troops. The fighting lasted from 2:00 p.m November 17 through 8:00 p.m November 18. According to reporter Galloway who accompanied the two 1st and 2nd Battalions of 3rd Air Cavalry Brigade, 2nd Battalion suffered 155 KIA, 125 WIA and 5 MIA. Thus, in 3 hours of fighting, 2nd Battalion lost 285 men out of 400, although this figure was far from the truth. Even General Westmoreland had to admit that this was a very serious loss. On November 18, the enemy hastened to insert troops at various locations aiming at reducing the threat on 2nd Battalion Cav that was on the verge of being annihilated. At Quyn-co-la, the enemy inserted more troops with 3rd Battalion and 2 artillery companies. Two ARVN airborne regiments belonging to the general reserve force were dispatched in a hurry from Saigon together with one American battalion traveling by trucks then marching toward southeast of Duc Co situated on northern side of Chu Pong in order to provide support at the rear while creating a diversionary pressure to reassure the American troops. It was unfortunate that 320th Regiment could only caused light damages and did not destroy any American battalion at that direction. On November 19, dozens of airplanes strafed and bombed around Columbus for a long while, then the entire troops were helilifted back to Bau Can. The first operation of American troops in Central Highlands had come to a tragic end. The final result we obtained was a victory far outreached than what we had visualized in the beginning, about 1,200 American casualties; we annihilated 1st and 2nd Battalions of 3rd Air Cavalry, damaged heavily 3rd Battalion and some companies, shot down 26 airplanes and captured a great amount of weapons and ammunition. The battle at Ia drang had sent a shockwave to the entire United States, signaling an unavoidable failure of the American expeditionary army. Airplanes were flying over our heads nonstop for five six consecutive nights, and bombs and gun fires exploded relentlessly. Furthermore, we had to cope with all kind of emergencies. Nobody at the forward command post could close their eyes for than a couple of hours. From commanders to first class soldiers, everybody had to work to his utmost ability: recon teams shadowed the enemy, general staff personnel went down to combat units to organize joint operations, signal personnel had to volunteer going out to hook up with units lacking communication equipment ... Nothing was as stressful as in the case of officers who were dispatched to establish contact with 8th Battalion got lost with no news; or the news from 33rd Regiment reporting 1st Battalion that was sent out to attack an artillery firebase got lost, while four enemy artillery firebases free-handedly pounded at our positions... Despite all theses tensions and complications, our forward command post was still able to control all units. B3 Front Command maintained close communication with our forward command post by radio. Knowing that we were in control of both 66th and 33th Regiments, our superiors were reassured, and continuously remind us of the importance of the battle and that we had to make effort to win it. - What did you find special in fighting against the Americans? - Fighting against the Americans was as easy as fighting the Arvins, but, damn it, they have so many airplanes, so many bombs, so many artillery tubes, their firepower won't stop, causing unbearable headaches. Overall, both battles had been conducted satisfactory, with 66th Regiment outstanding. In this Regiment, 7th and 8th Battalions performed their tasks very well. Both battalions sprung into immediate action when they encountered the enemy, fighting using mobility to attack and shooting down airplanes. 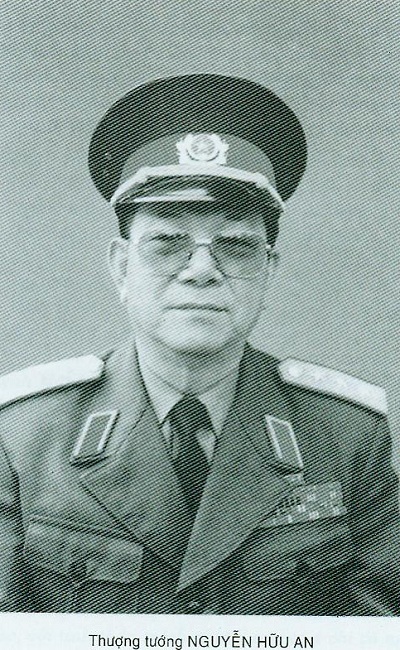 The officers were extremely resourceful; La Ngoc Chau, a competent political officer, had commanded the unit like a real regimental commander, in a battle which did not have an opening for preparation, giving out tactical orders while on the move. While thinking about how to fight the Americans, we found the candid answer given by the combatants made some sense; if we temporary set aside the part of "overwhelming firepower", fighting the Americans did not differ by much from fighting the Arvins. As we had defeat the Arvins we will equally defeat the Americans. From the first battle against the Americans to much later after that, we maintain the same assessment: by relying on the strength of their technology, the Americans become subjective; high tech equipment and subjectivity influence their tactics and combat activities. By thinking deep on this tenet will allow us to obtain way to neutralize the strength and to exploit the weakness of the Americans, which leads us to victory. This does not mean that "it's easy to fight the Americans" as some of our fellows said. The Americans are pragmatic. They know how to learn quickly from experience and possess modern means to effect changes in a situation. They are also wise and clever, at times they can revert a bad situation into a good one to their advantage. Nevertheless, they still are not able to overcome their subjectivity in assessing the enemy.